SW is a currently unbroken region of the Ragnarok map occupying the south western quadrant of the main land-mass. It lies to the south of the Green Obelisk, and incorporates a large savanna-like plain, a forested hill-country, a large island, and some very impressive geological oddities (e.g. natural bridges, cliff-side caves, etc.). Two large cave systems sit one atop the other nearly facing the island to the south. 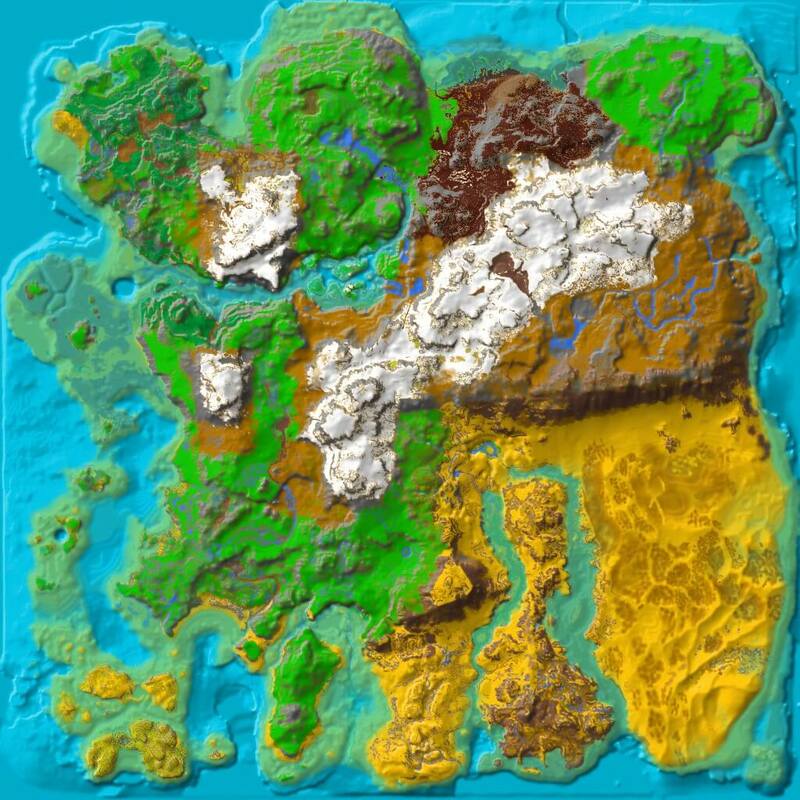 Care should be taken in this area as many wyverns spawn over the island and patrol the lagoon between it and the landmass. Immediately below this cave system is another large cave where wyvern nests can be accessed. Poison, Fire and Lightning wyvern eggs can be found within as well as adult wyverns at the northern end of the cave. A ruined monument can be found here with four large statues depicting a Direbear with a large collar on, a man fighting two raptors, a woman and a Direwolf, and a man. In the alcove with the woman and the wolf, glowing names are written on the walls. There are several interesting islands in the area. Some contain ruins. The larger islands in the southwestern-most corner are home to many marsupial animals including Procoptodon and Thylacoleo, and is reminiscent of Australia. Cliffside cave entrances. Looking north from Wyvern Isle Bay with the Green Obelisk in the background. Cliffside cave exits are on top. Wyvern egg cave is below, to the left of the waterfall.